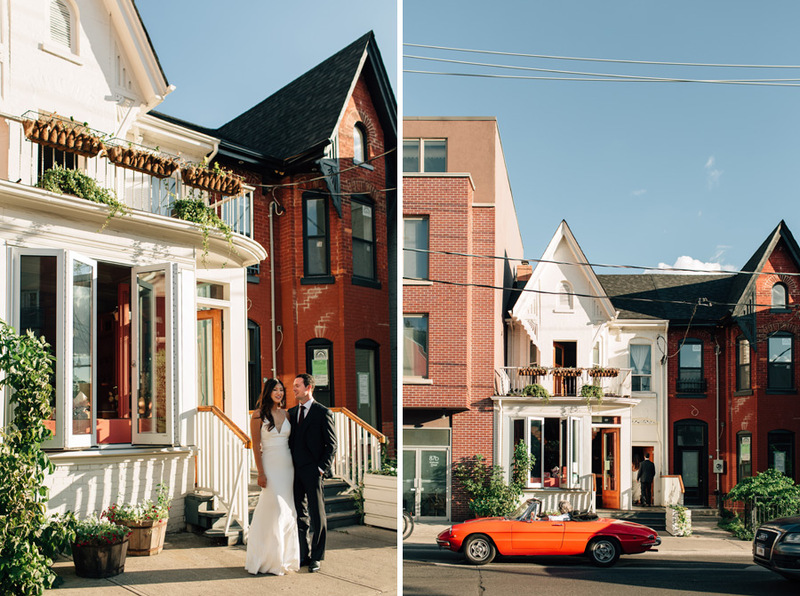 As a couple looking to get married in Toronto, there are lots of options ranging from beautiful grand manors to vineyards in Niagara to rustic farms. 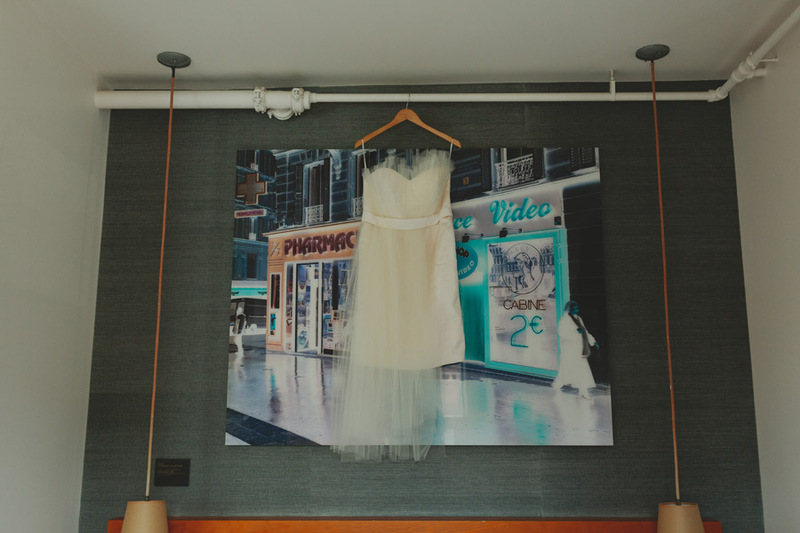 But if you are looking to have a wedding in the urban setting of the city, then Toronto restaurant wedding venues are the perfect option! You might think that buying out a restaurant for a wedding would be very expensive (I used to think that). 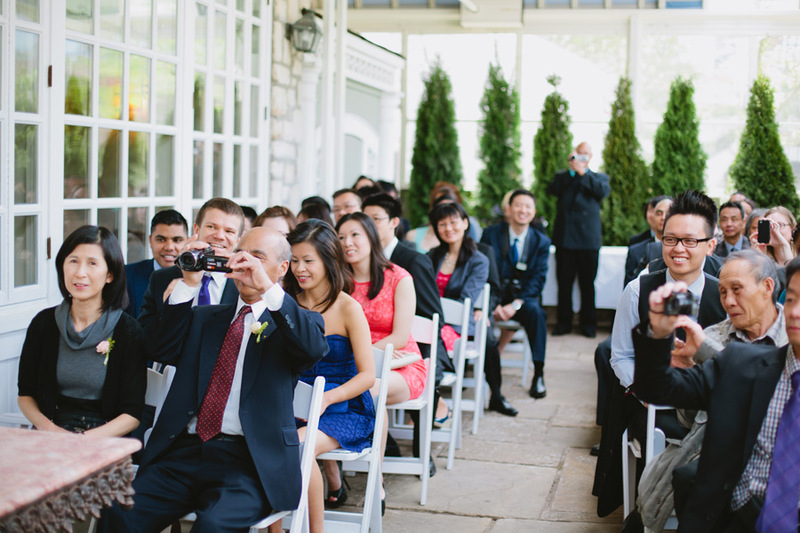 But in reality, it’s often a lot more economical compared to having your wedding in a more traditional type venue. Not to mention, the restaurant would already be decorated and often you don’t need to do that much more to dress it up. Your fees already include the space, food, and furniture. And the best part? 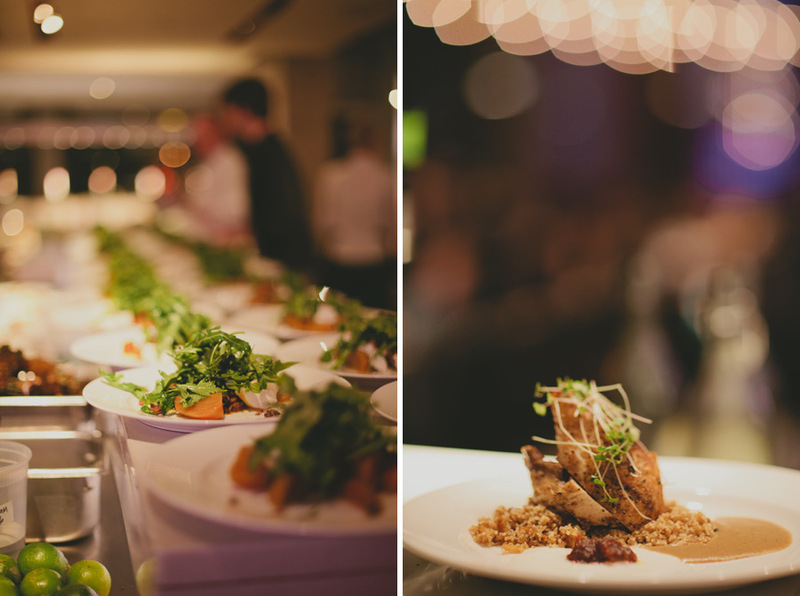 If you are a food lover, having your wedding at a restaurant with food you love can make a big difference compared to food typically served at a more traditional banquet hall. I always thought that your guests are most likely not going to remember what kind of centre pieces were at your wedding, but they’ll remember things like if the food was good and how the atmosphere of the venue felt. As a photographer, I often remember the food (the really good ones as well as the really bad ones). 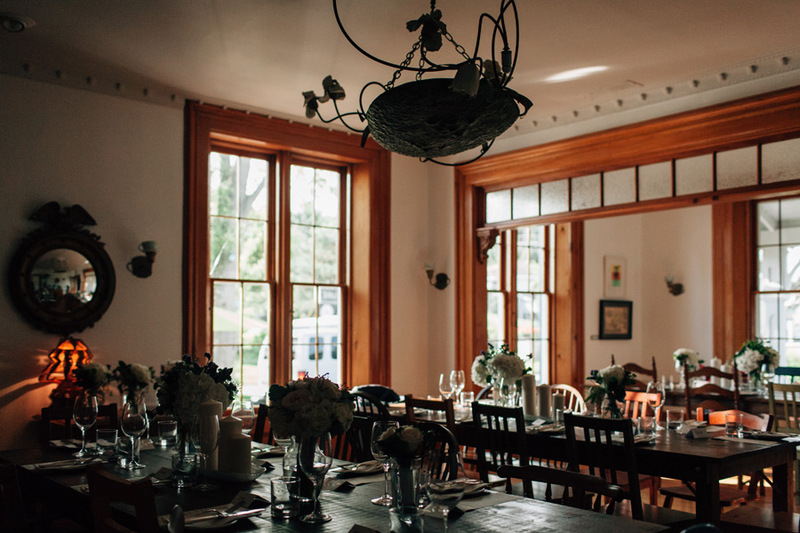 If you value the food and the experience and less about having a show, then having your wedding at a restaurant could be a very interesting option. 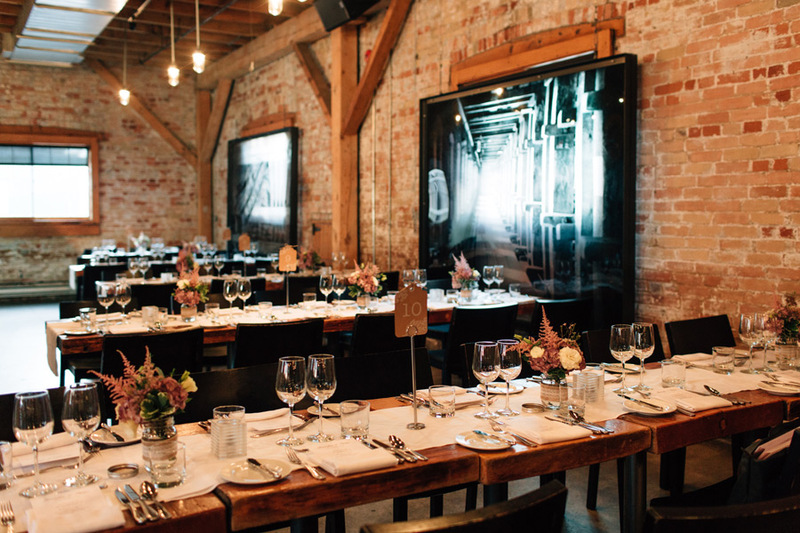 Located in the historic Distillery District, Archeo is one of a few venues in the area. It features high ceilings, exposed brick walls and wooden beams. 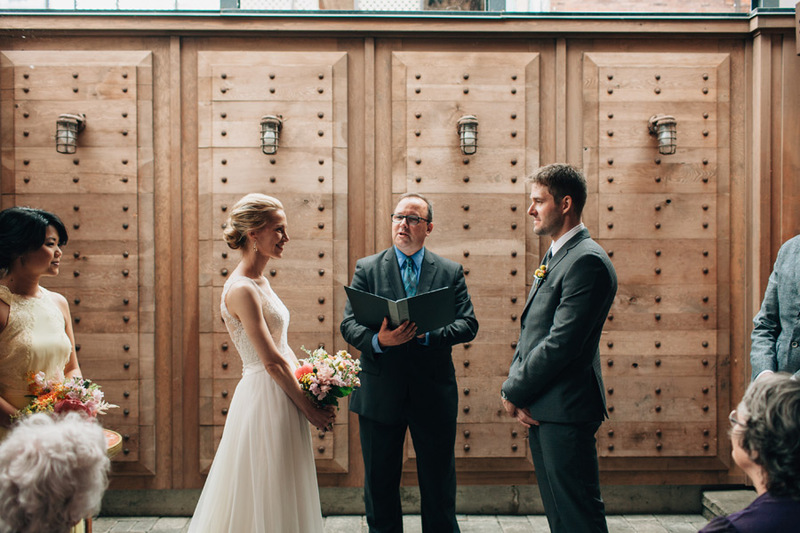 You can use the courtyard for your ceremony during warmer months, or if you just need a reception space, the indoor restaurant area is perfect. It’s an intimate and warm atmosphere. 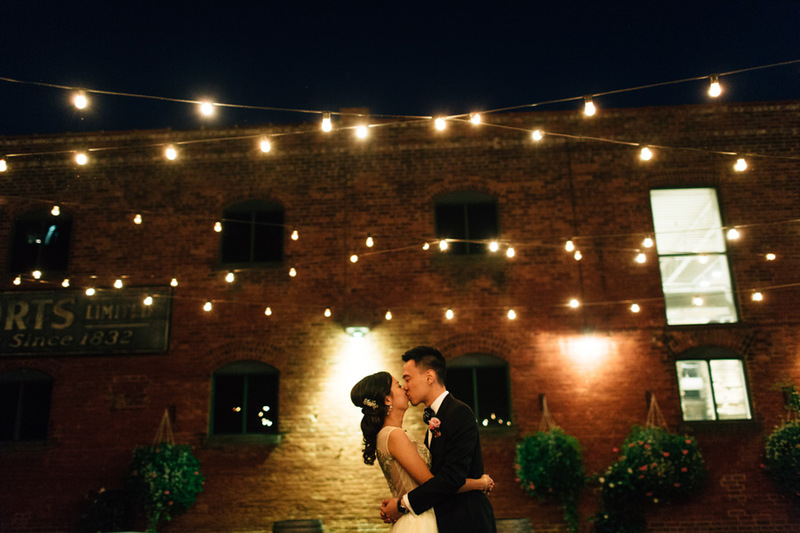 See more of Peter & Jennifer’s intimate wedding at Archeo here. 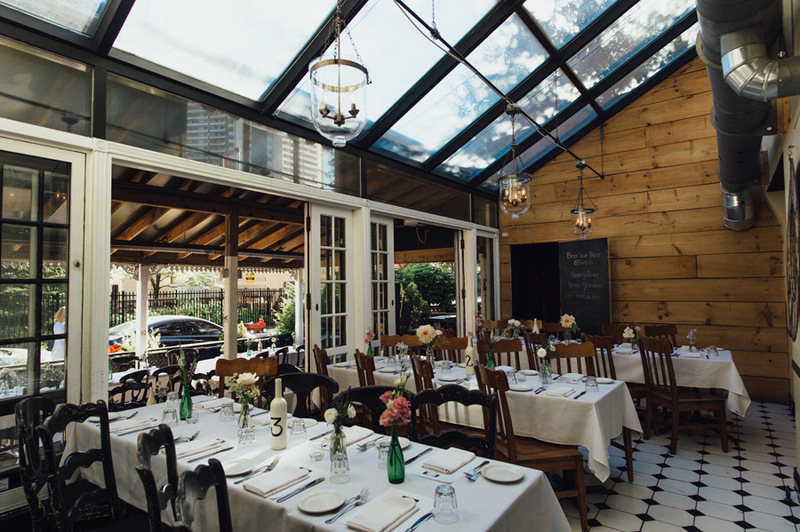 Located in historic Cabbagetown, F’Amelia serves up hearty Italian fare. The layout of the restaurant is so fun with big windows and a veranda-style dining area at the front as well. The decor is also charming. The only thing that I think they can perhaps improve on, is to keep the patio area used for ceremonies more clutter-free. More photos of Camille & Jeff’s wedding at F’Amelia here. I’m including The Harbord Room here even though it is now closed :( Just to give you an idea of what is possible around the city. 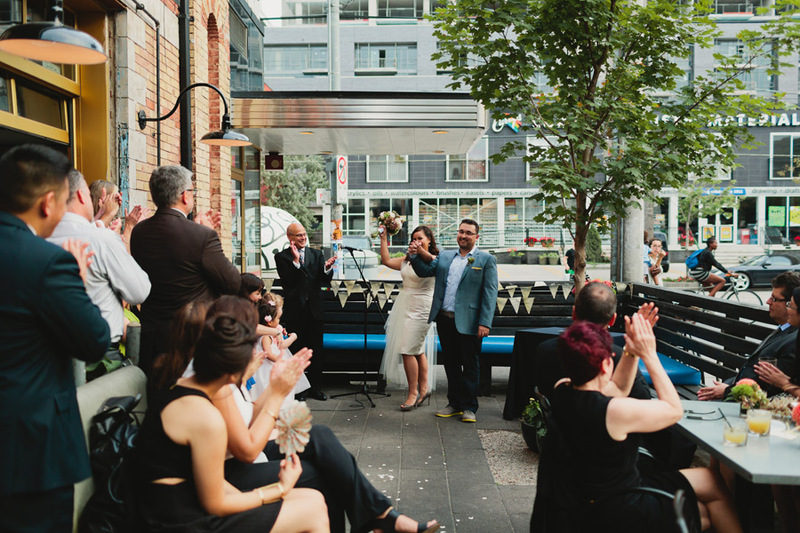 The Harbord Room was the perfect little space for a really intimate wedding of 30 or less. 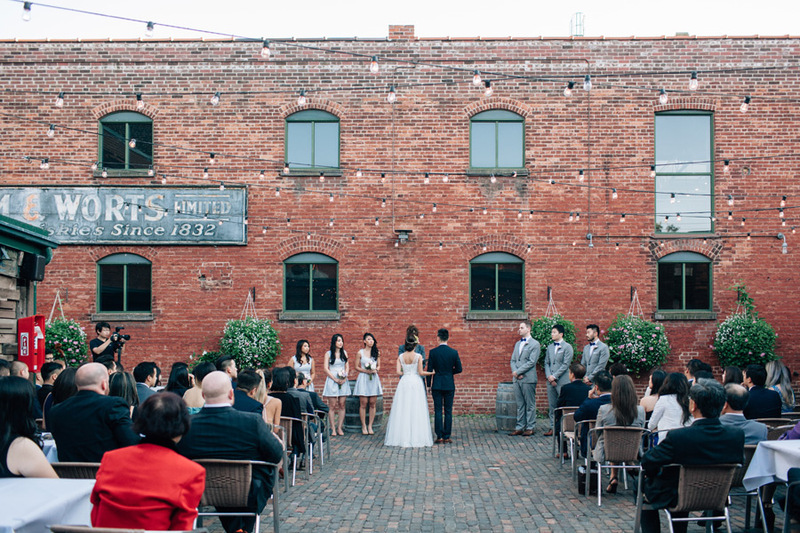 The courtyard was perfect in the warmer months and feels more like an intimate family gathering than a wedding. Love French food? Love French Bistro style? 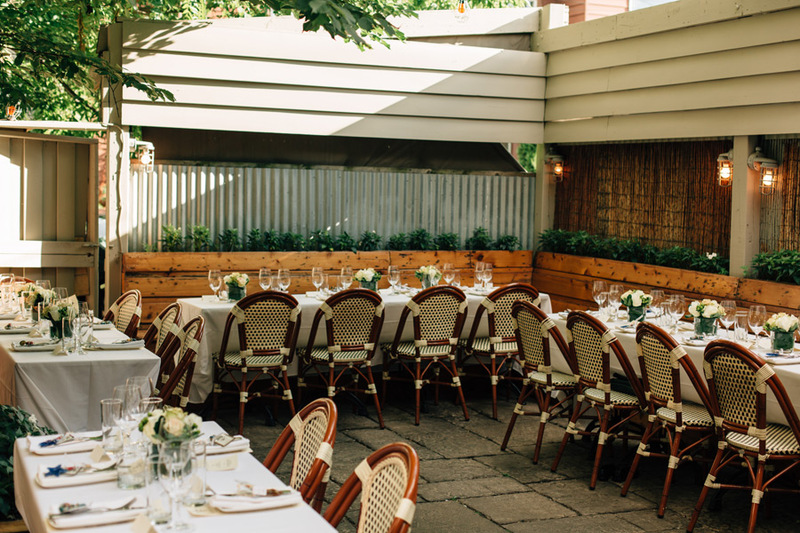 Le Select is a great space for intimate weddings with two private dining areas and a cute courtyard that can be used for your ceremony. 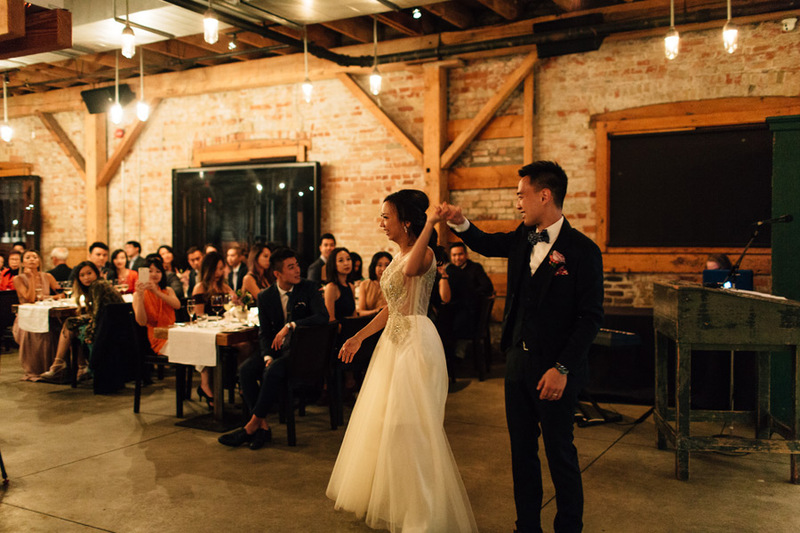 You can see more of Lianne & Tristan’s Le Select Bistro wedding here. 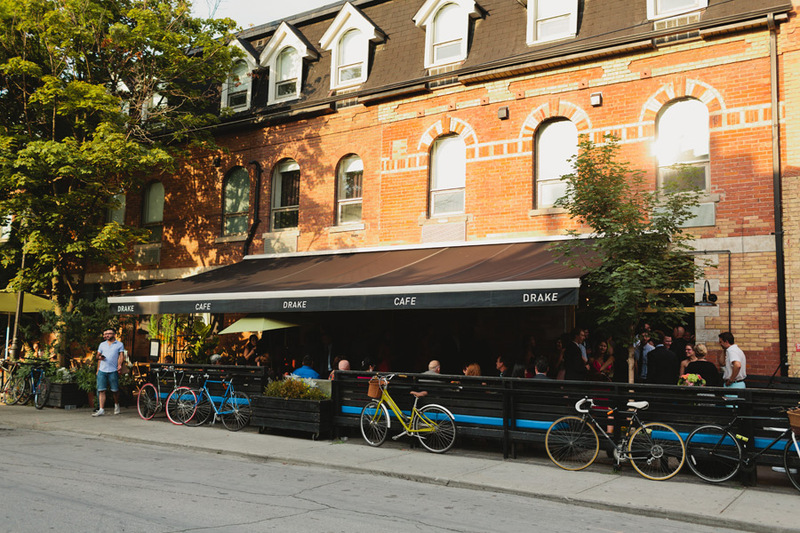 The Drake has several options for weddings. 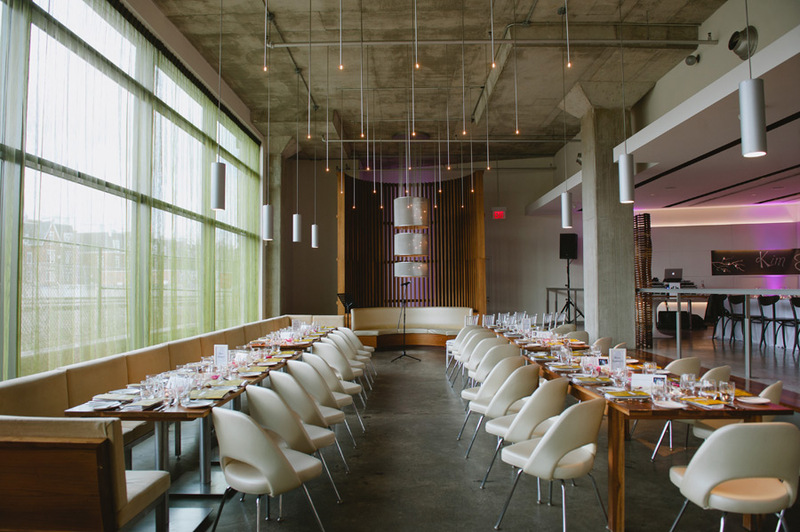 The Café is a great space for 30 seated or 45+ cocktail style reception. Plus you can stay at the Drake hotel for getting ready (see photo below). 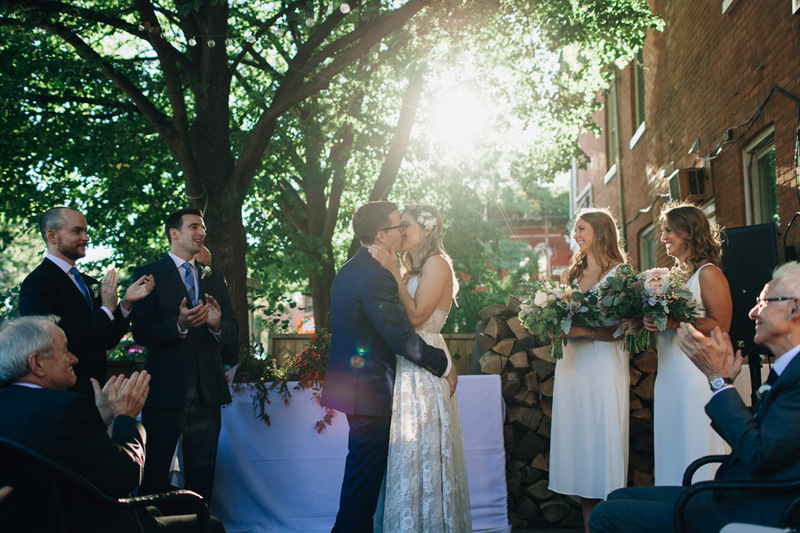 As a photographer, the only thing I didn’t like was that having your ceremony on the Café patio might mean that the sidewalk ends up being your background (which can be very distracting in the resulting photos). But you should be able to use the café as the background instead. 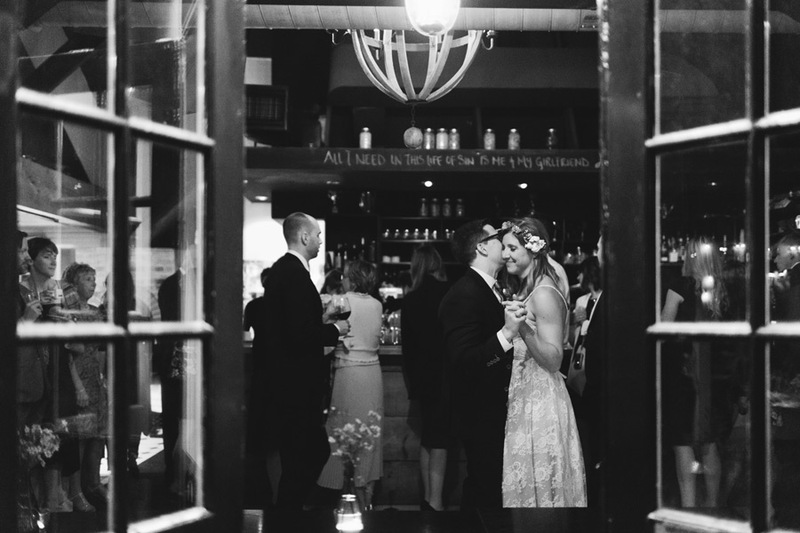 You can see more photos of Chrissy & Gareth’s wedding at the Drake Café here. 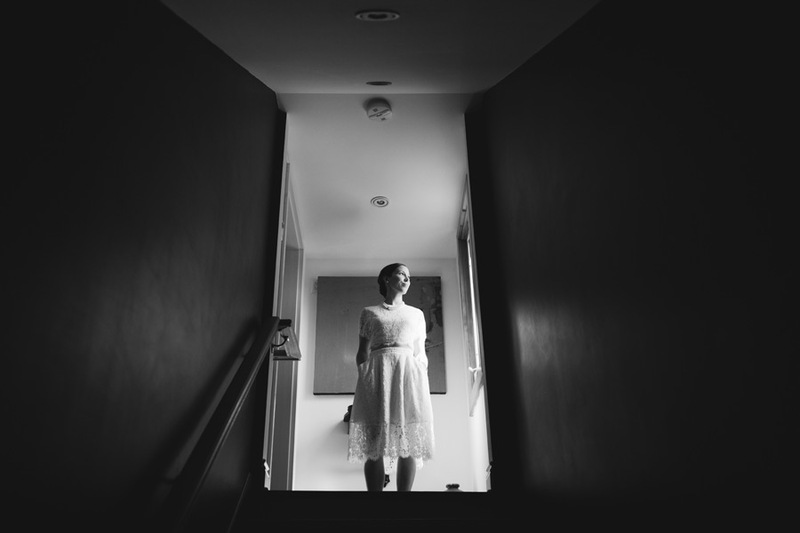 I’ve shot a couple of weddings at Mildred’s now. The food here is really good! 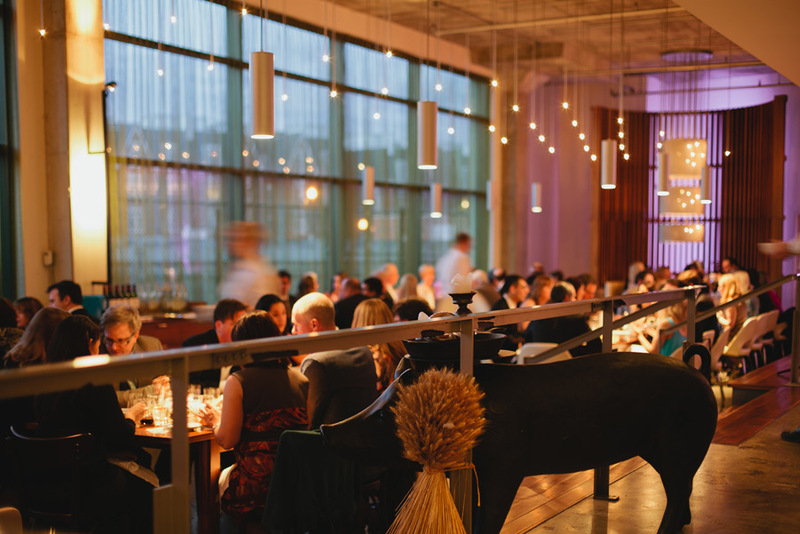 Located in Liberty Village, the space is very modern and features an open kitchen. 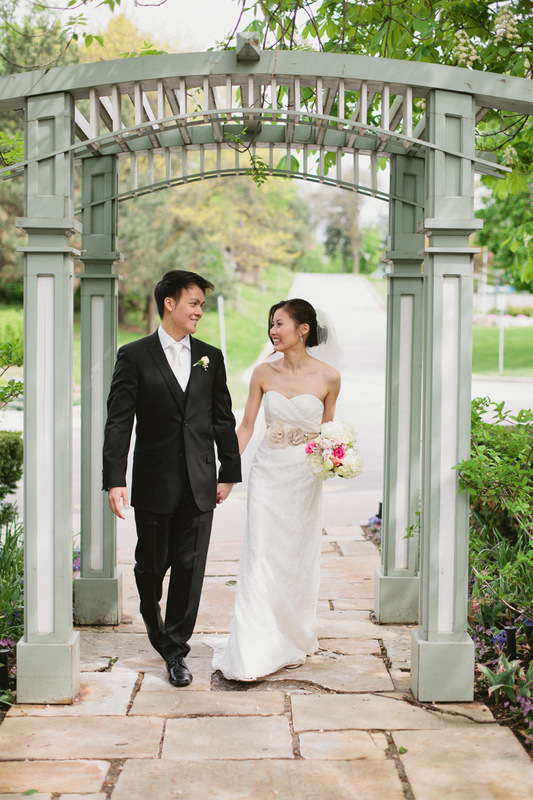 You can see more photos of Denis & Kim’s wedding at Mildred’s here. 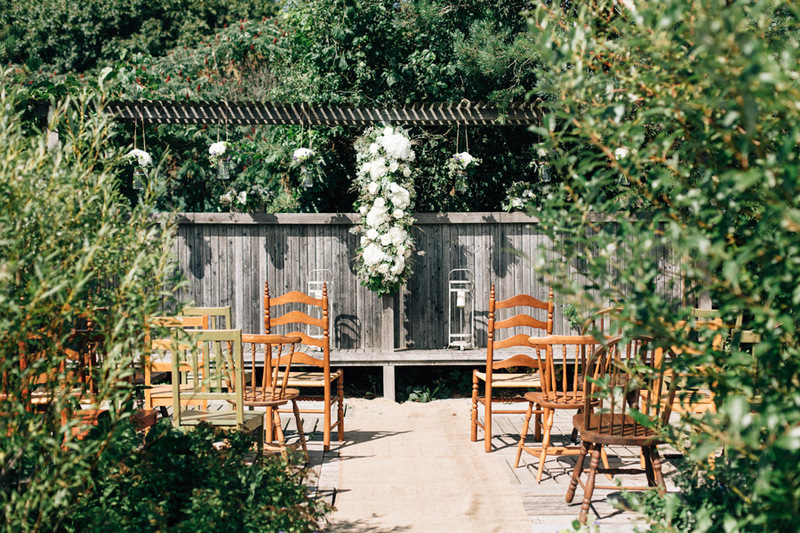 Of all the O&B restaurants, my favourite for a wedding is Auberge du Pommier. 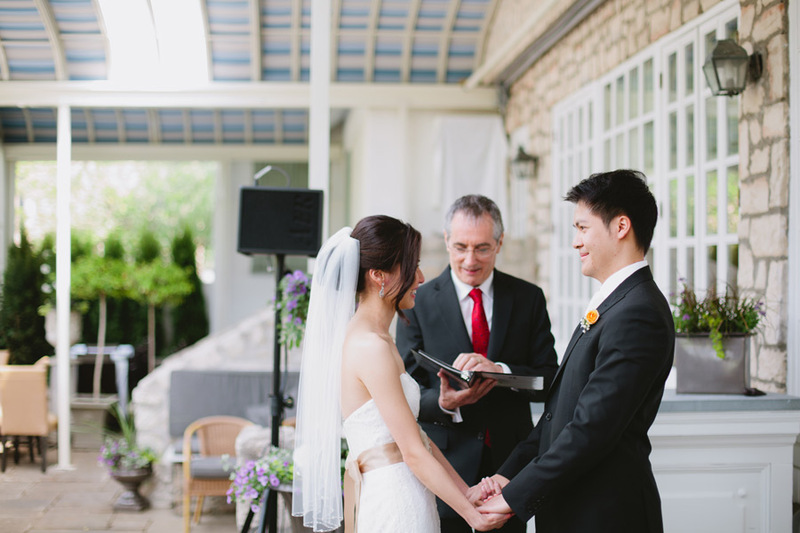 Though it’s located in a bit of a random location (right by York Mills station), the food is excellent and you can use the courtyard for your ceremony. The space is very charming and has lots of natural light. You can see more photos of Helen & Adam’s wedding at Auberge here. 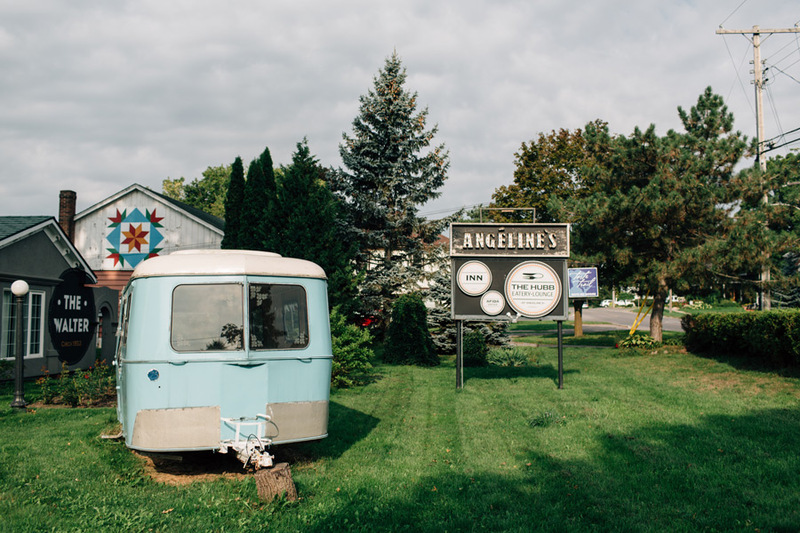 And just for fun, here’s one a bit further away, but in the beautiful setting of Prince Edward County! A historic property, it also features guest rooms that you can stay in to get ready. The ceremony space outdoors is lovely and the food here is delicious!